An Exceptional Totally Custom Renovated Single Family offering Superior Finishes & a Flawless Floor plan! 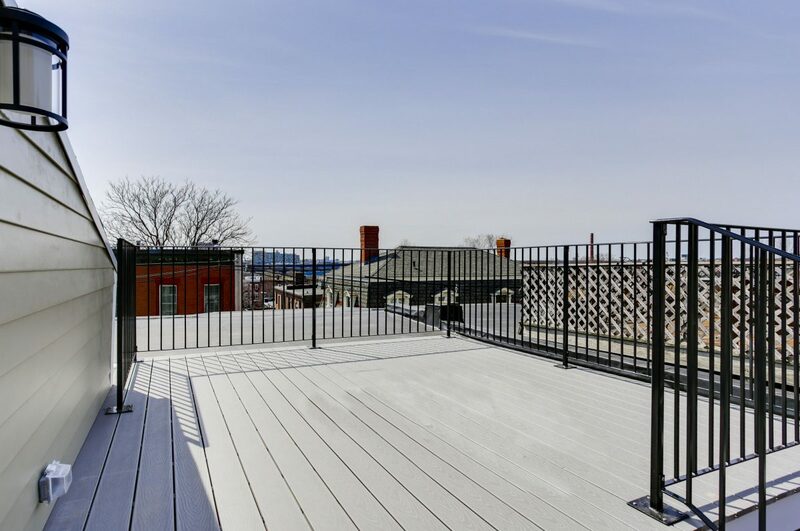 Oversized Skyline Roofdeck with gas, water & electric for memorable entertaining! Endless Sunsets & views! Blazing Southwestern Sunshine! Noted Developer has crafted a Perfect City Home! Cornice Moldings! Towering Ceilings! Sparkling Open Livingroom, Diningroom & Gourmet Chef’s Kitchen with giant quartz island, seating on 2 sides! Brilliant Artic White Quartz Countertops & Custom Stone Back splash! High End Stainless appliances! Direct access to a cozy grilling patio! Gleaming Hardwood Floors! 3 Bedrooms plus office/nursery! Master Bedroom Suite with Bay Window has a Monument View & a Lavish Spa bath with Carrara marble! 2 Additional very generous bedrooms and custom guest bath with soaking tub! Central Air! Huge basement storage with easy street access for strollers, bikes, skis & hockey equipment! So many other amenities that make this home the ultimate in effortless City Living!